Dominican Rep plans to built wall on its border with Haiti. 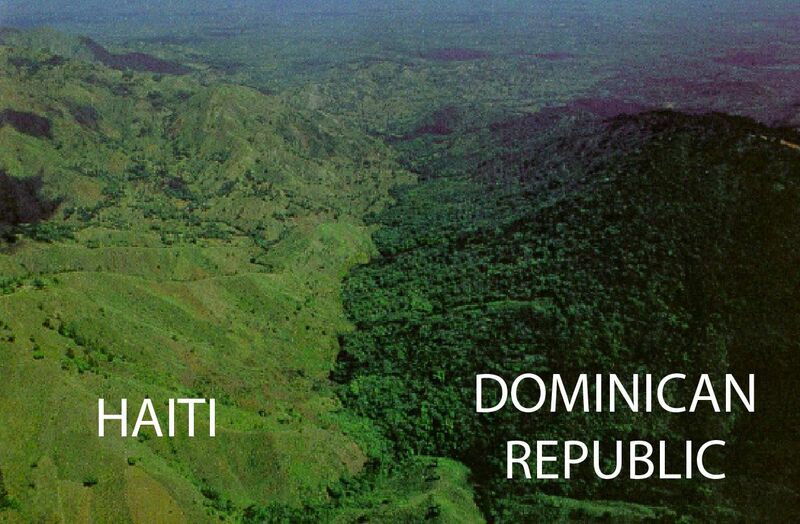 There has been much talk about the border wall, after a Dominican congressmen submitted a law that would instruct the Dominican government to built a wall along its 360 kilometer border with Haiti. The purpose of the wall would be to complement the new immigration law in stopping the massive illegal Haitian immigration to Dominican territory, it would also help stop other illicit activities that take place in the border and would help stop the deforestation of the forests near the border. Santo Domingo.- Newly sworn National District deputy Vinicio Castillo Seman on Thursday said it’s “crucial” that president Danilo Medina order the construction of a wall at the Haiti border to secure Dominican Republic’s sovereignty. He said the country’s physical border requires strict and urgent security measures to control immigration, and "aspire to improve the Dominican population’s human development." There has been wide support for the wall by other politicians and the general population, if the wall is built, it would be the first one of its kind built by a Latin American nation. Anyways, do you guys believe border walls such as the one in Israel, USA and Spain are necessary to control massive illegal immigration? Last edited by kilometro7; 2014-06-14 at 18:41. Fragment of a Letter written by a Spanish soldier in 1864, during the Restoration war in the Cibao. I take the short break we have to write and give you good news of this famous campaign, which bears no resemblance to that made ​​in Morocco. Oh, the mess that is able to annoy a saint .- we are already there, and back, and never see the result of many hardships, so much expense, and many casualties of all kinds. The devil take me if I see an end to this. These damned Indians are never seen, as soon as they are here, they disappear, and when we believe they have been defeated, they appear shooting, which is something they love. And I tell you they're not bad shooters. It seems as if the bastards have spent their entire life hunting, since where they aim, Jesus, they'll sure hit it. And listing they're not all armed, and the weapons they have, with the exception of the many rifles that they have taken from us, are bad. What will then happen the day that these crooks get good precision weapons?. You know that a soldier likes war, since that's how he gets promoted, and takes honors, but I assure you, with the word of a gentleman, this one looks bad for us. It seems to be the only way to control illegal immigration I am afraid. Seems really excessive. Hispaniola is an island so it's not like immigrants can't use boats. It took tim long enough, honestly. This is the best thing that could happen to both the Haitians and the Dominicans. So what do you suggest? So we should just sit and watch as our country becomes flooded with poor illegal immigrants, and not do anything about it! Currently they make up 20% of the population. In other places like Spain and Israel they have seas were immigrants can use boats, but those walls are still very effective, it's all about making it harder for them to cross. Obviously stopping illegal immigration to a 100% is impossible, but we have to do something about the situation now, since right now there's complete chaos in the border. Haitian cross the border like nothing, come cut down threes on our side, transport all sort of contraband and any of them who wants to move to Dominican territory does so with almost no problem. We have to somehow try to stop that anarchy state in the border region. Last edited by kilometro7; 2014-06-14 at 20:32. Not surprised either. I suggest they do it. I hope we come up with plan for something similar next. 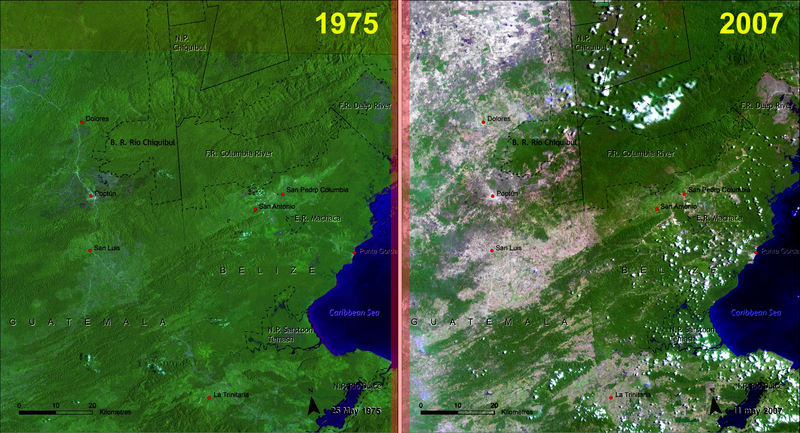 You can clearly see Belize from space now, the deforestation is so bad in Guatemala. Last edited by pgbk87; 2014-06-14 at 21:58. An idea that should have been brought up long ago! Is there a way to stop immigrants from coming by boat? TBH excessive might have not been the right word to describe why I disagree with this wall. I have a bigger problem with the sheer cost and logistics when compared to the actual results. The border between the US and Mexico certainly hasn't stopped migration between the two countries. And in the case of the DR one has to wonder whether the costs are currently worth the limited results. Like I said what's stopping Haitian immigrants from traveling by boat? Or building smuggling tunnels underneath the wall? If the US already struggles with this issue imagine the costs the maintenance of such a project would have on the Dominican economy. There's so much more that comes into play when it comes to issues like this. For example how well are Dominican border patrols paid? And how sensitive are they to bribery? And if the wall indeed pushes Haitians to travel by boat how would the Dominican government pay for an additional presence of the coastguard? And that's not even mentioning the building costs or the long term maintenance costs. For example how well are Dominican border patrols paid? And how sensitive are they to bribery? And if the wall indeed pushes Haitians to travel by boat how would the Dominican government pay for an additional presence of the coastguard? And that's not even mentioning the building costs or the long term maintenance costs. The points in bold are the main ones to address first before building the wall, IMHO. As for them coming in boat, I wouldn't worry too much about it, since the navy here has been efficient at stopping them from going to Puerto Rico from here. Of course, they have to be so, since failing in this would incur in American wrath our way. New plans for ABF, change of directions!